Whenever you look at this sweet beaded brooch you?ll want to smile. 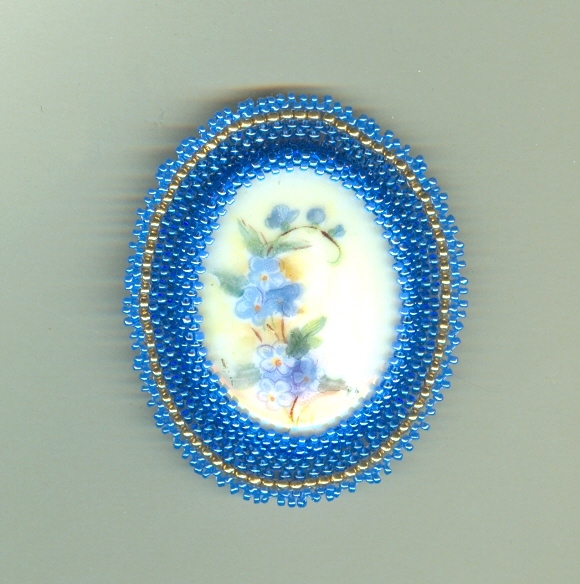 The beaded brooch features a spray of blue flowers (which I choose to believe are forget-me-nots) hand painted on a porcelain cabochon. Since the cabochon came from a larger piece (the back of my late grandmother?s antique hair brush), I have no idea how old it is, nor its maker. I know only that it?s quite, quite lovely. 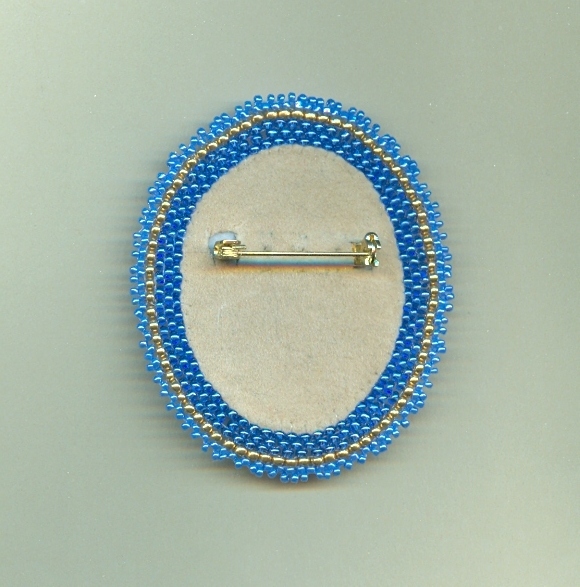 I?ve made a bezel and frame of periwinkle and gold-colored seed beads. Since the beads must be sewn into place one at a time, it?s a rather time-consuming and pains-taking task, not to mention a labor of love. 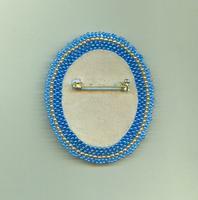 The beaded brooch is backed with suede fabric and has a sturdy gold plate pin. The beaded brooch measures about 2-3/8? long by 2? wide. It?s a truly unforgettable beaded brooch from SPARKLE PLENTY.